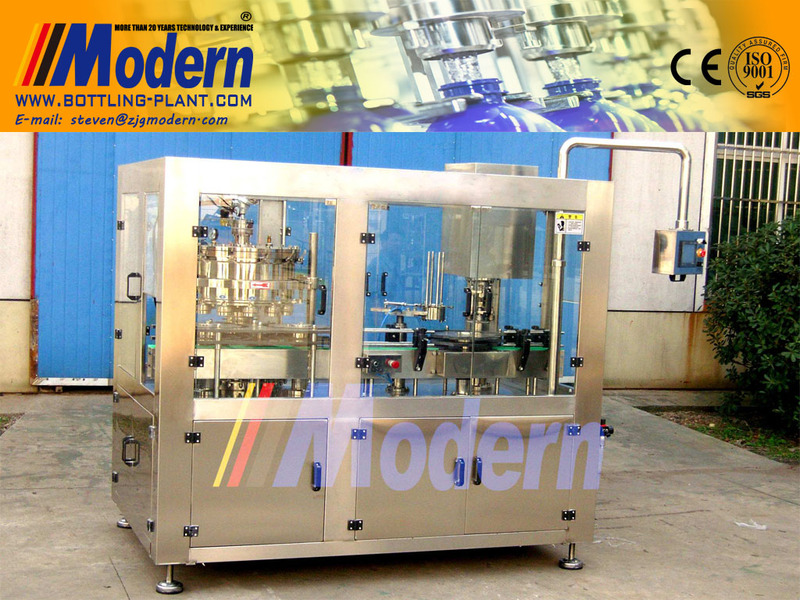 Can Filling And Seaming Machine - Buy Product on Zhangjiagang Modern Machinery Co., Ltd.
YGFD series of 2 in 1 monobloc Can Filling And Seaming Machine, whose technology was introduced from SWEDEN, is specially applicable for aluminum can or PET can balanced filling and seaming for carbonated drink like cola and beer. 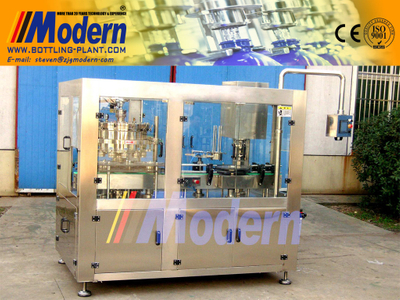 Capacity of this can filling seaming machine is from 2000 to 9000 can per hour, based on 330ml can. Can is pushed into can holding platform one by one by feeding screw and star-wheel. Centering cup of filling valve will fall to can; the distance between filling valves and cans is sealed by springiness plastic ring. The movement of centering cup is generated by plastic idler wheel along curvilinear motion. After filled, valve will be closed, air is discharged, and centering cup will rise from the can. 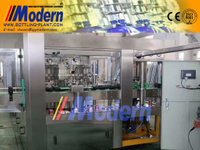 Filled can will be sent to conveyor chain, then to capper. Capper will take cap, turn over the edge of can and turn the edge to finish the sealing action by the control of cam. After that can is transferred to conveying system.